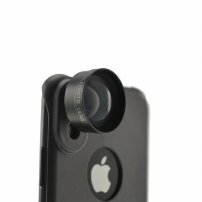 3X Zoom Lens / Portrait Lens / Telephoto Lens for iPhone X, iPhone XS : allputer.com - Accessories for all your Portable Electronics & Computers! Want to take photos of breathtaking sunsets and sports in action. Bring distant subjects closer for selfies, portraits, large group photos, architectural shots, and cityscapes? Want to capture memories to hold on to forever? This 3X Telephoto Lens is a great addition to your phone. It doubles your optical zoom. Bring your subject closer with ease. - A Simple lens to double your optical zoom, the best way to bring distant subjects closer and minimizing the noise on the image.